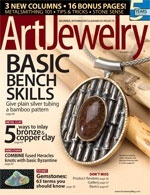 In addition to the feature articles listed below, I write a serial column “Metalsmithing 101 – Studio Essentials” for Art Jewelry Magazine, “Studio Insights” a serial column in Metal Clay Artist Magazine (No, I do not work with metal clay) and an annual feature article for the Design Issue of Jewelry Artist Magazine. 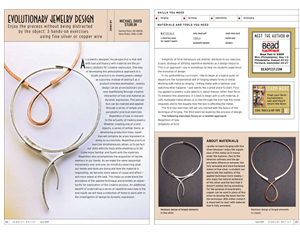 Reprints of feature articles and back issues of magazines are available through the publisher’s websites. 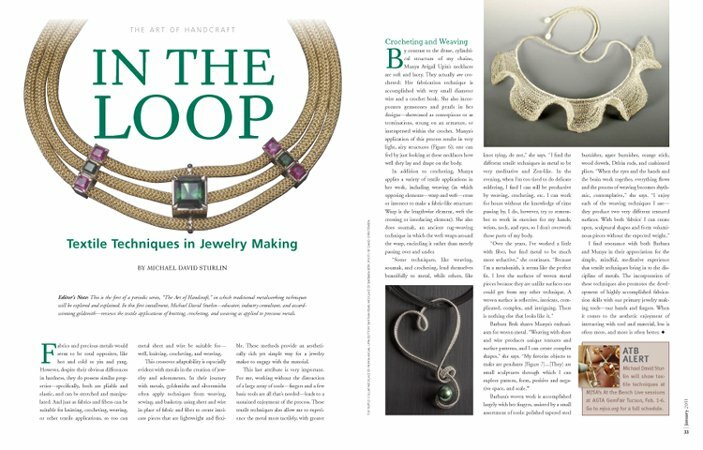 In celebration of the 5th anniversary of Art Jewelry magazine, Hazel Wheaton invited me to write a new column for the publication. 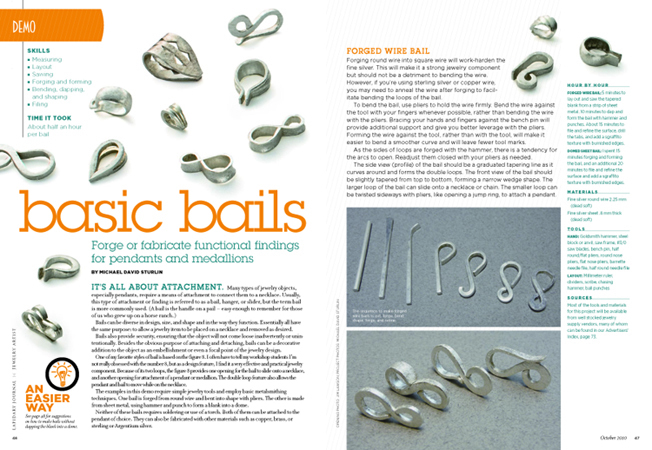 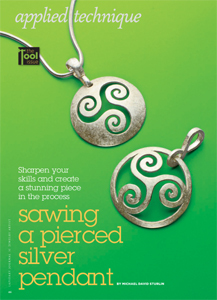 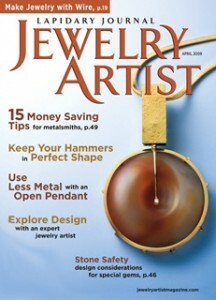 Metalsmithing 101 made its initial appearance in the November 2009 issue. 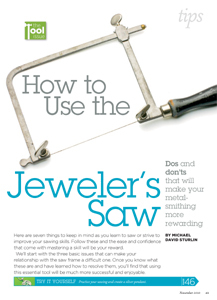 So far the column has covered: Hammers, Sawing, Files, Pliers, Forging, and Dapping with many more information articles in the works.